The Central Board of Secondary Education (CBSE) conducted NEET 2018 on 6th May in offline pen-paper mode. Approximately 13.2 lakh students appeared for the medical entrance test which is considered to be a dramatic increase. Experts suggest that the paper was slightly easier as compared to previous years and not very time-consuming. 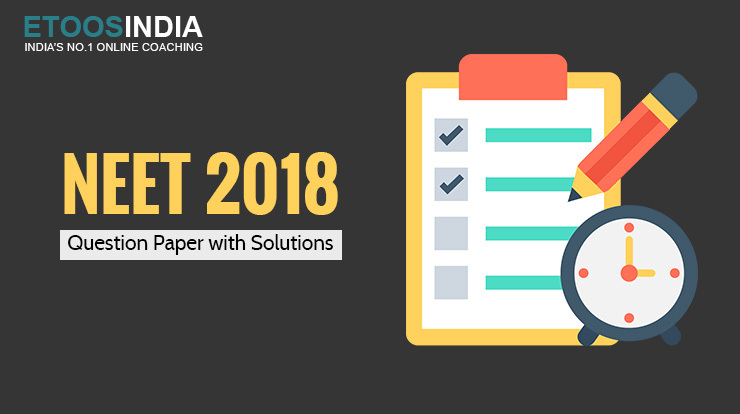 NEET 2018 question paper with solutions in PDF format for all codes are available on India’s best online coaching for NEET, EtoosIndia website. Knowing pattern of exam and getting an actual feel of it is always beneficial. Henceforth, every medical aspirant should go through NEET exam previous year question papers with solutions. To download the exam papers one needs to register on EtoosIndia website and then download the suitable previous year papers with solutions in PDF format for free. With the answer keys, one can know how much accurately they have solved the questions. Talking of NEET 2018, many questions were directly from NCERT book.